Positive news from Paris, where prolonged dialogue between PSG, supporters and the police is leading to promising outcome. Police has officially approved the return of ultras to Parc des Princes. “The police headquarters acknowledges the will of Paris Saint-Germain to host the ultras supporters through individual ticket sales. In the case of recorded incidents, the police will oppose continued presence of ultras at Parc des Princes”, wrote the police prefecture of Paris. Even if constrained, the statement is an encouraging sign, following prolonged unilateral talks. For the past 8 months ultras have been represented by Collectif Ultras Paris, reaching an agreement with PSG president Nasser Al-Khelaïfi. 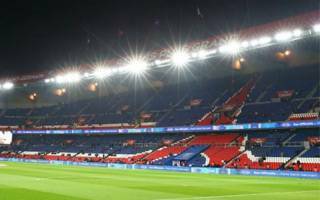 Organised support is now expected to return to Parc des Princes, even if the “individual tickets” mentioned by the police mean that the return will be conditional and highly monitored. For the past 6 years ultras groups were banned from PSG games, following serious riot on Feb 28, 2010. During that incident one supporter was killed, prompting a ban on seven largest ultras groups of the club. To assure no organised group would be able to take parts of the stadium, PSG went as far as banning any choice of seating when buying a ticket, or taking full control of away game allocations.